“You” refers to you, the person who is entering into this Agreement with Edge Lens LLC. Voicebot offers a Site that is freely accessible on the Internet and provides product information and opinion-based commentary about industry and consumer trends. You must not be in violation of any embargoes, export controls, or other laws of the United States or other countries having jurisdiction over this Agreement, Voicebot, Edge Lens LLC, and yourself. For example, if the Office of Foreign Assets Control prohibits conducting financial transactions with nationals, residents, or banks of your country, you must not use our Service. The opinion-based commentary provided on Voicebot may not be that of our own. You acknowledge that Voicebot does not advise you to take any actions or omit to do anything based on the information provided on our Site, and you hereby agree to release Voicebot for any liability relating to such information. Post or send anything violent, threatening, pornographic, racist, hateful, or otherwise objectionable according to the opinion of Voicebot or its delegates. Hack, crack, phish, SQL inject, or otherwise compromise the security or integrity of the Voicebot Site, Service, or its Users’ computers. Do anything else which could bring Voicebot into disrepute or violate the rights of any person. Voicebot relies on the uniqueness of its content to distinguish itself from its competitors. You agree not to copy, distribute, display, disseminate, or otherwise reproduce any of the information on the Site, including content submitted or licensed by third parties to Voicebot, without receiving our prior written permission or that of the relevant owner of such copyrighted content. 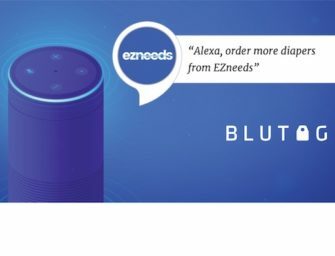 “Voicebot,” “Voicebot.ai,” “Edge Lens,” “All Things Voice Web,” and their affiliated audio and visual marks are marks used by us, Edge Lens LLC., to uniquely identify our Site, Service, and business. You agree not to use this phrase anywhere without our prior written consent. Additionally, you agree not to use our trade dress, or copy the look and feel of our Site or its design, without our prior written consent. You agree that this paragraph goes beyond the governing law on intellectual property law, and includes prohibitions on any competition that violates the provisions of this paragraph, including starting your own competing service. This Agreement shall be governed by the laws in force in the Commonwealth of Virginia. The offer and acceptance of this contract are deemed to have occurred in the Commonwealth of Virginia. You agree that any dispute arising from or relating to this Agreement will be heard solely by a court of competent jurisdiction in the Commonwealth of Virginia. Specifically, where the subject matter of a dispute is eligible for it, you agree that any disputes shall be heard solely within the lowest civil court of competent jurisdiction in the Commonwealth of Virginia (“Small Claims Court”). If two or more provisions of this Agreement are deemed to conflict with each other’s operation, Edge Lens LLC shall have the sole right to elect which provision remains in force. Edge Lens LLC reserves all rights afforded to us under this Agreement as well as under the provisions of any applicable law. Our non-enforcement of any particular provision or provisions of this Agreement or any applicable law should not be construed as our waiver of the right to enforce that same provision under the same or different circumstances at any time in the future. We may terminate your access to our Site and Service at our discretion without explanation, though we will strive to provide a timely explanation in most cases. Under no circumstances, including termination or cancellation of our Service to you, will we be liable for any losses related to actions of other Users. We may amend this Agreement from time to time. When we amend this Agreement, we will update this page accordingly. You must read this page each time you use our Service, and your continued use of our Service shall constitute your acceptance of any such amendments. Pursuant to California Civil Code Section 1789.3, any questions about pricing, complaints, or inquiries about Voicebot must be addressed to our agent for notice and sent via certified mail to that agent. For our agent’s most current contact information, please send a request to info@voicebot.ai.